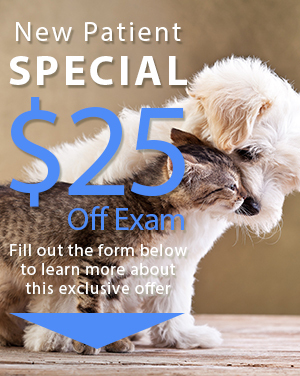 Our Oakland Park vet is proud to provide comprehensive pet surgical care. We offer a variety of procedures, including spay and neuter operations, orthopedic surgery and emergency surgery. No matter how routine or complex an operation, we treat each pet patient with compassion and care. Your pet’s safety and well-being is our top priority during dog surgery and cat surgery. Depending on your pet's wellness needs, elective pet surgery may offer important benefits. Spay and neuter operations, for example, help to reduce the unwanted animal population while also protecting your pet's health and reducing unwanted behaviors. Additionally, orthopedic surgery can help pets who suffer from arthritis and joint pain become mobile once again. Dog surgery and cat surgery in Oakland Park takes place in our surgical suite, which is equipped with digital radiography and ultrasound. These tools help us better diagnose the underlying cause for illness, injury or pain in your pet. A precise diagnose is also desirable because it eliminates the need for exploratory surgery. Our goal is to be as minimally invasive as possible when performing an operation. Less invasive cat surgery and dog surgery helps reduce the risk for complications and pain while speeding the recovery process. Our veterinary hospital follows strict guidelines for pain management and safety during each surgical procedure. 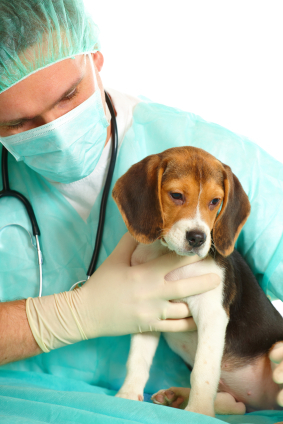 Prior to any operation, our veterinarian will discuss the procedure in detail with the pet owner. We recognize that any operation, no matter how common, can be a nerve-wracking experience for concerned pet owners. Our strict guidelines help protect a pet’s well-being before, during and after an operation. Additionally, we are happy to answer any questions that a pet owner may have. If a non-surgical alternative is available, we will also discuss this option. Prior to your pet’s surgery, we recommend that your pet abstain from any food or liquid at least 12 hours in advance. An empty stomach will help reduce the risk of possible health complications should a negative reaction to anesthesia occur. In an effort to minimize potential health complications, we conduct diagnostic blood work prior to administering anesthesia. Following an operation, we send your pet home with detailed care instructions for a safe and healthy recovery. In addition to pet surgery, our veterinary hospital also provides alternative care services, including laser therapy. In some cases, we may recommend laser therapy instead of orthopedic surgery. The recovery process from orthopedic surgery can be long and difficult for older pets. Consequently, their quality of life may be better improved through a non-invasive treatment like laser therapy. While pet surgery offers many important benefits, we consider dog and cat surgery to be only one treatment option. 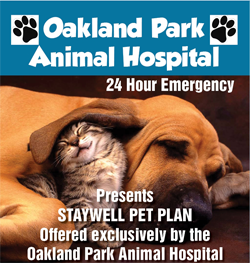 Our Oakland Park vet works closely with each pet owner to create the right treatment program for each pet’s wellness needs.